Today I am sharing my tips and tricks. "Wild at Heart" . Time for the "Festive Frame" tip sheet! This set is sure to become a favorite in your collection you'll reach for year after year for all your holiday projects and family photos! Today's sample is embossed in gold and colored with Copics, the popped up balls in the corners are from Asela's new "First Christmas". Cardbase is Vibrant Violet. 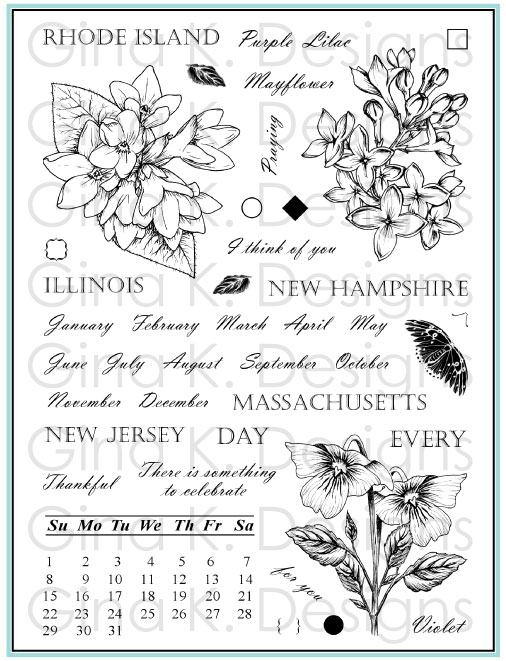 This set coordinates perfectly with "Winter Foliage" and "A Year of Flowers". You will love popping up the pine cones and poinsettias from these sets into the oval window or onto the corners, or stamping them inside your card for a custom finish! Stamp the poinsettias again and cut out just a few individual leaves from it to pop up over the ones in the frame. Add metallic dots, pearls, nail heads or large buttons to the middle of the poinsettias to dress them up. Stamp the frame in brown and use distressing inks to create a vintage look. 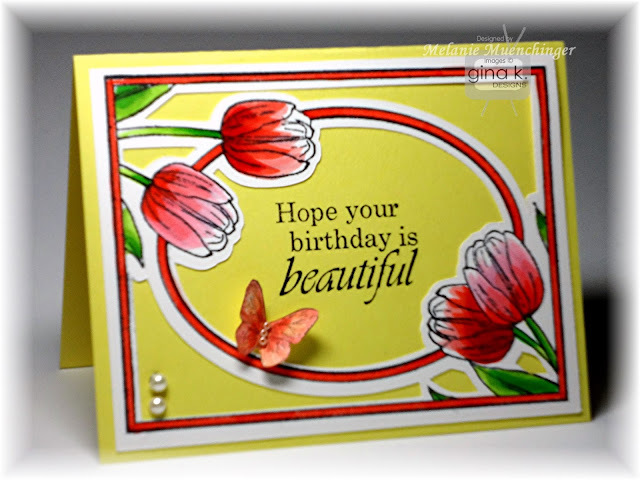 Create beautiful one or two layer cards without coloring in a flash by embossing the frame and greeting onto neutral or colored CS. A metallic powder on white or ivory cardstock will be "soft sophistication", and metallic, white or black on jewel tones colors cardstocks like red, green, navy or cranberry are fabulously festive! Color in your embossing for a real "WOW"! Try tone on tone embossing with silver and gold powders and metallic cardstocks like Silver Lining and Good as Gold.Try mixing glitter into your EP when embossing the frame for extra sparkle! Add Stickles over your coloring, or trace the outlines of the petals, pine needles and cones with a Stardust pen. Add flocking or Flower Soft to the centers of your poinsettias or on your pine cones. Create a dusting of snow on your pine cones with Liquid Applique. Layering cut leaves from "A Year of Leaves" over the poinsettias and its greetings to the center will make amazing cards for autumn! 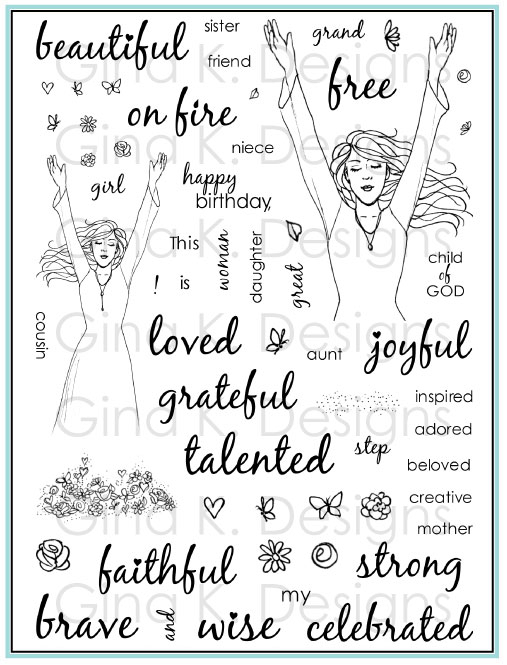 Two elegant flourishes have been provided to stamp above or below your sentiment or at the corners of a mat when you stamp a greeting (one from this set or try it with any other classic and elegant greetings in your stamp collection! ), to make it a bit more formal or when you need to fill in a bit more space on the mat or die cut for a balanced look. Cut out the oval in the center for more dimension like a real window. Use Oval Nestabilties to cut out the middle quickly or use scissors to snip around the flowers. You can also layer these scalloped and classic oval mats directly over the widow, overlapping the flowers. Oval Nestabilities in sizes smaller than the window look beautiful popped up and centered inside the oval border. 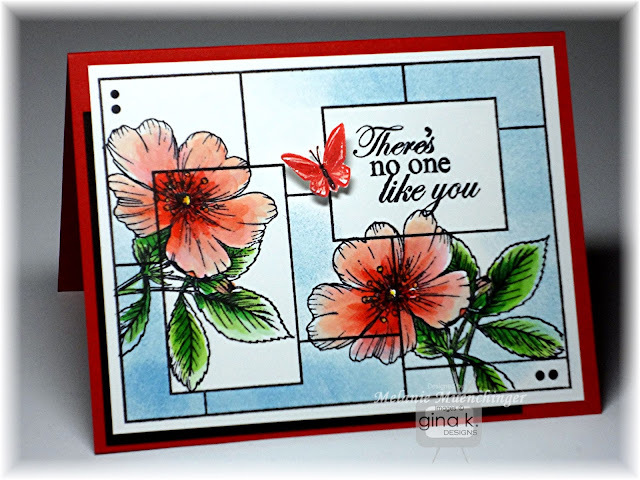 Other Nestabilities shapes Gina K sells to try in the middle of the oval window to change the look are the many labels dies, some you probably have in your collection! Whether you leave some of the oval from the image showing or cover it completely with your die cut, the poinsettia bunches will be set off to spectacular effect, enjoy mixing and matching! The greetings have been intentionally formatted to work well whether you are using the frame vertically or horizontally. 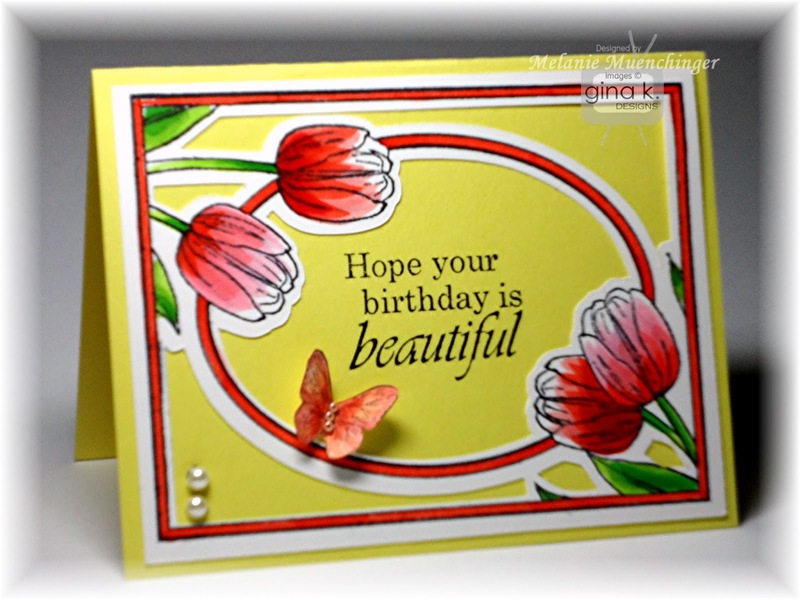 The greetings used alone on a mat over some DP makes a quick and beautiful card! Stamp the frame inside your card in Versamark or contrasting color to you CS to add your greeting or handwritten message for a really professional, coordinated look for the inside of your card. Stamp the frame on your envelope and add your recipient's name and address inside. Add a family photo inside the oval cut out for easy holiday cards. 3x5 is a perfect size. Mat onto an A2 base with photo underneath or stamp directly onto the base and cut out the window with a larger photo adhered inside your card. Add other holiday stamp or images in the oval window or to the corners, layering over the poinsettia or on the opposite corners for a fuller frame. Place a layer of vellum over your photo to soften the look. Stamp a greeting on the vellum for a floating effect. Stamp the frame directly onto vellum, trim and layer over a rectangular photo without cutting out the window: this allows you to see the entire rectangle of the picture but spotlights the middle of your photo in the oval. To make a more masculine looking card, layer pine cones over the poinsettia or even masculine images for year round birthday or greeting cards (ex: tent from Happy Camper". Stamp with and onto neutral colors to make a more the frame "masculine- looking" or to give it more of "nature" than a "holiday" feel, this will allow year round use. After stamping the frame, go over the cardstock with one of the many Cuttlebug embossing folders to add texture and dimension. Mix the greetings from all our latest holiday sets with the frame or try Gina K's "Seasonal Greetings", another great option! Greetings in the set like "Celebrate the beauty of the season" and "from all of us" will take you well past December for New Years and other holidays. Add a photo to the middle window and stamp one of the greetings over it in white ink (or embossed white) like an overlay. Put one greeting on the outside and another on the inside to continue the message. Ex: "We wish you a Merry Christmas!" and inside "and a Happy New Year!" Ink up just one cluster from the frame or cut around them to make a beautiful corner to add to your cards and scrapbook pages. Stamp frame over a very delicate, pale patterned paper and color the flowers, pine cones, and border to make the images pop. Adds color without having to paper piece! Create a reverse mask of just the oval cut out and another mask removing just the blank corners to stamp textures into these spaces or sponge on color without going over the images. Color the double border around the edge and the oval window with a marker or colored pencil; this will instantly add layers without all the cutting, CS, adhesive, without adding bulk AND saving you time and money! add a corner punch or flourish. add a small or big, beautiful bow! 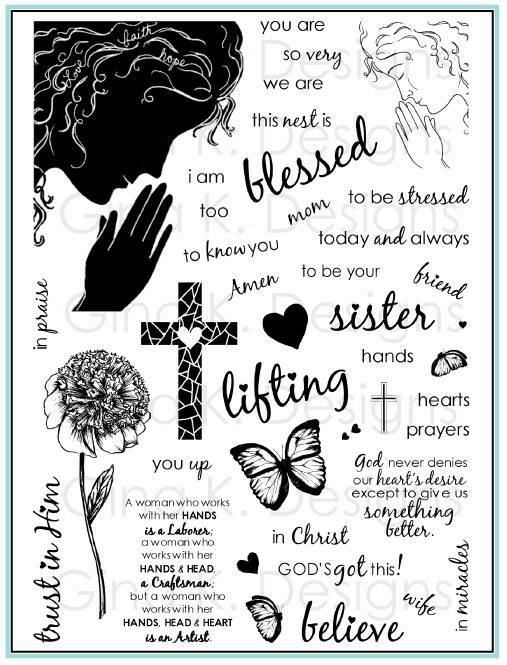 Use as a mat for a picture frame, as a gift or to bring out to decorate at the holidays with a photo or scripture or quote from the set. Stamp frame and greeting onto a plain gift bag for lightning fast gift wrap! 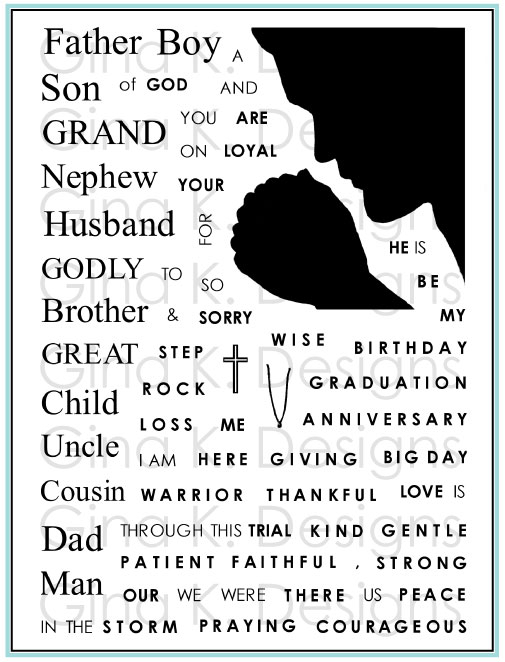 Or attach a card with the frame on it to a 4x6 or larger gift bag. More fast packaging: adhere the stamped frame to the center of a plain white gift box with an image or the "to: and from: info" in the center. 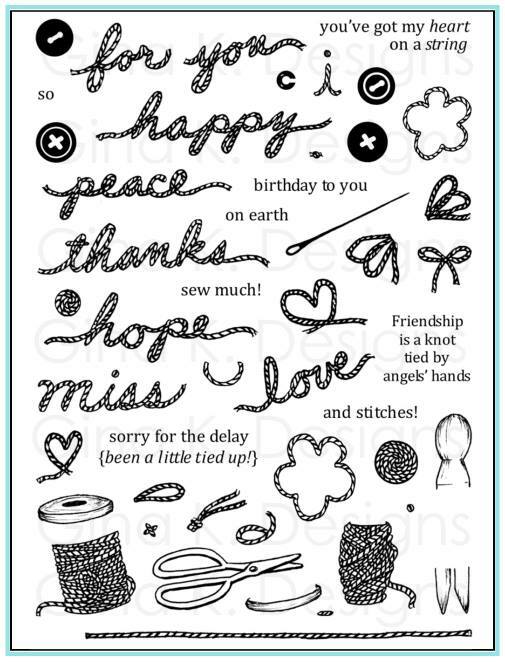 Make gorgeous gift tags with the many greetings in the set on punches or die cuts. Adhere frame to a magnetic sheet and cut out oval portion. Now you have a frame for the fridge or office to place over your favorite holiday photo of the moment, year after year! Stamped candles: stamp frame onto tissue paper, color, wrap around a pillar candle and heat! Beautiful and inexpensive gifts, see this post. Add the frame to decorate your homemade family calendars. Create a special invitation to a holiday dinner or open house, printing the party info inside or in the oval window. Create a menu card to match, listing the courses inside the window for an elegant table setting! 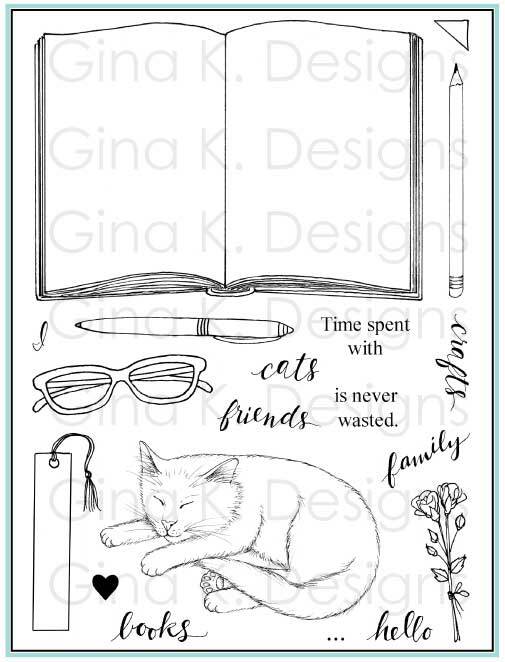 Today I am sharing my tip sheet for the A Beautiful Life set! Taking a little blogging vacation until the 18th, however, I will be sharing a post from my archives every couple days, about FRAMES, of course! :) Hope you get your books and stamp soon! The overlapping happy "bubbles" in my Fun Year Round set always make me think of summer and happy times (but then of course snowballs and happy times when winter rolls around!) so we'll start there! Mount the frame on a 6x6" block, which Gina K carries here. Align the top of the frame with a line on the block. See this post for a pic and instructions for how to stamp it perfectly into a corner with out needing a positioner and only have to trim on both sides, faster and less waste of paper! 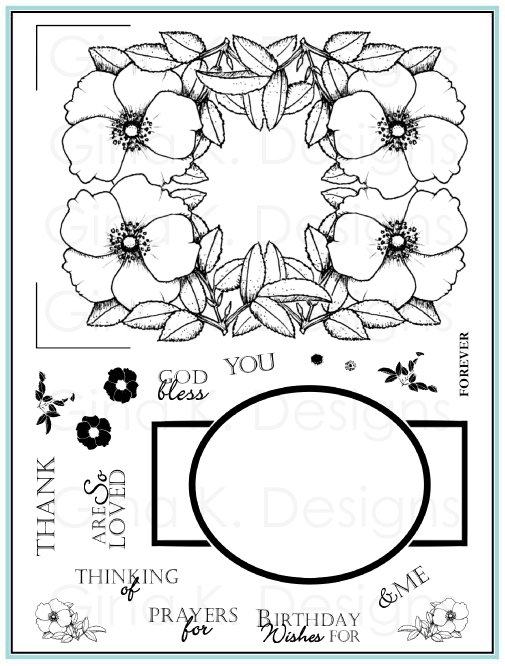 Stamp focal points, from the set or other images, onto round die cut and place over the frame. Create masks to keep with your set: one where you trim out the entire inside of the frame so you can place this window over your stamped frame and then stamp or sponge inside of it and remove your mask, see this post. Punch out circles of various size, keep the circles to place over areas you don't want to have a stamped image in, but also save the negative part, so that you can center a round window over a circle on the frame and stamp something it it, then remove the mask. 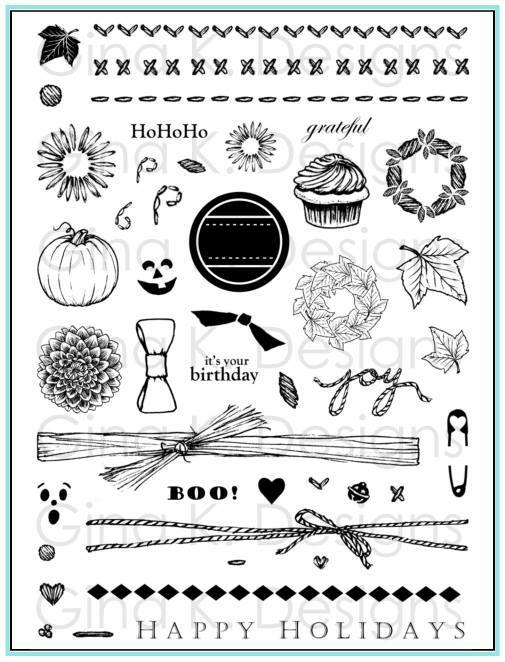 The circles have been thoughtfully arranged with your greetings and other stamp images in mind! You can flip this frame 4 different directions for vertical or horizontal cards and you will have a large or small circle waiting for you to add your sentiment or image in a pleasing spot that follows the rule of the thirds. The tiny circles in the corners are perfect for adding a little brad, eyelet or button. The circles range inside from 1/2" to 2", so Circle Nestabilities are terrific for layering, paper piecing, or creating masks. Create a paper pieced look by just punching circles of various sizes from DP or colored cardstock and then placing them over the stamped circles in the frame. Center small images inside the small circles, large ones over the large circles. Offset them for a little more whimsical feel or stamp several of the images from the set into one of the larger circles. Stamp onto colored paper with a coordinating ink for a more subtle look or dark or contrasting ink for a stronger look. If you are adding a die cut focal point over the frame, place it in the center of a group of circles like the circles in the frame are radiating out from it, or place it over a spot where two or three circles intersect. 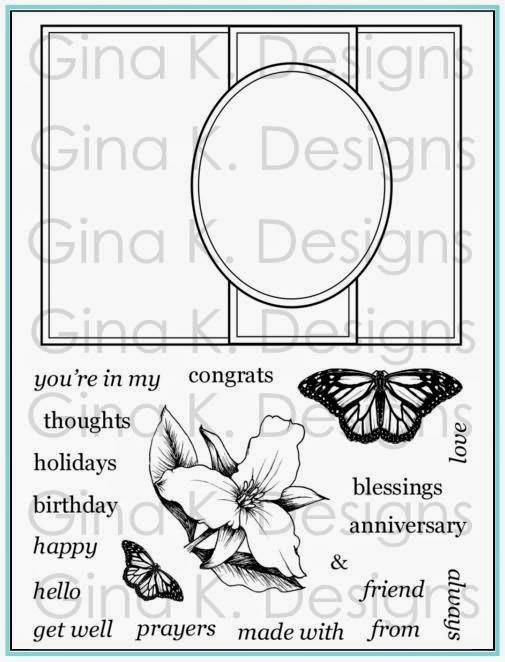 Punch out a larger area of the frame to reveal a stamped greeting or sentiment inside your card. Stamp the frame and then create a scene with your stamps or stamp large images over it, then use the different circle with the spotlighting technique coloring in just certain parts of the images framed up in the circles, or color them all but use slightly different colors. This will give a fun magnified or "bug-eye" effect! Punch small circles or flowers out of the frame to reveal the mat underneath like I did in the sample below, I used a Cropodile and 1/2" circle punch. You can then stamp another round or flower element inside this cut out area. Frame up round embellishments in the circles on the frame, large and small buttons, brads, paper or punched flowers, pearls, rhinestones, etc. Color in the different circles with different colors to create a multi layered look, or color in the areas around the circles inside the frame to really make the circles pop. each image has coordinating smaller images that you can 2 step stamp inside the larger image in another color. It is easier to stamp the larger element first and then the smaller element inside. use the matching one of r mix and match the different elements. 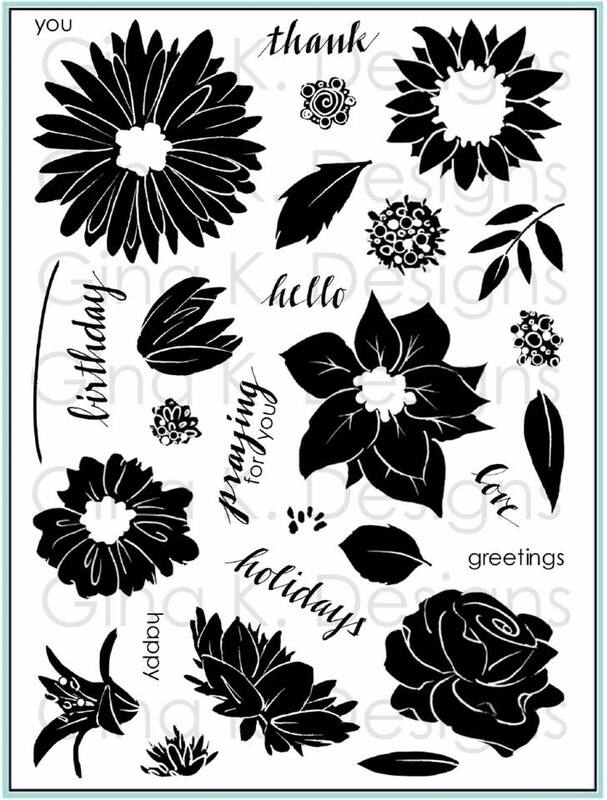 The flowers and "snowflakes" fit the Jumbo and Extra Jumbo Marvy Flower punches. The jumbo will be a perfect fit and the Extra Jumbo will provide a rim around the image or be perfect for creating mats for the smaller jumbo punched elements. The snowflakes also look like the middle of flowers when you stamp them over the flowers. You get two very different looks by lining up the 6 pointed images, or offsetting them so that the second stamp image falls between the 6 points of the first stamped image. Try both. Similarly, you can get two different looks when you line up the Marvy punch to punch it out exactly or turn it a few degrees so they end overlap the punched sides, try both ways! 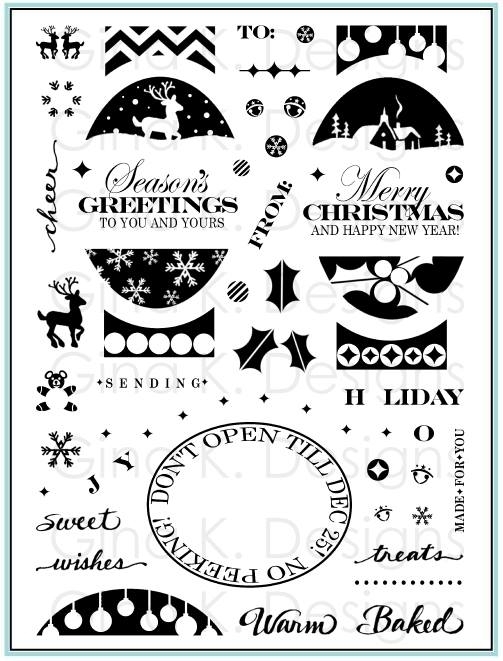 Stamp the round greetings over the larger flower or snowflakes elements or stamp the smaller images or button images inside. Stamp these in Stazon Ink onto buttons or circle punches. Create terrific patterns using the smaller elements without the frame. Make your pattern symmetrical by using the line provided in the set, following instructions in this post. Small elements make beautiful tags and borders, and are perfect for stamping into the inside of your card or flap of your envelope for perfect coordination. The small elements also are perfect for stamping on the backs of you card like a logo where you sign your name. Create a photo collage by punching out circles in various sizes from photos, magazines, post cards, etc and placing them over the stamped frame. Use the long line to create interesting geometric backgrounds, by either stamping at random or diagonally to have them cross like Gina did here, make stripes by stamping them parallel, perpendicular for a grid or checkerboard, and in different colors for plaids, etc. As promised, here is a quick sample I created using the masking and sponging techniques from yesterday's post with Inspiration Mosaic and Stately Flowers 7. 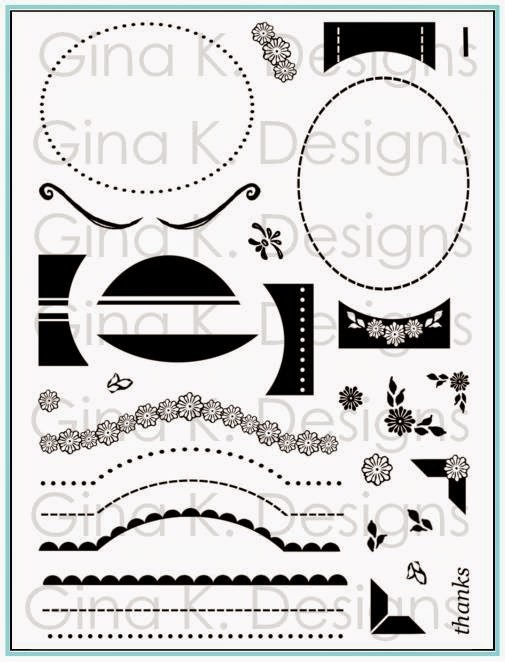 Supplies used: Gina K Pure Luxury White, Black Onyx, Red Velvet cardstock, Inspiration Mosaic and Stately Flowers 7, sponge daubers, Copics YG23, G07, E02, RV13, R05R17, Gina K. Designs Powder Blue and Black Onyx premium Dye ink Pads, foam squares. And one more with A Beautiful Life, since I already the Studio file cut! Also, I wanted you to see more samples oriented landscape style instead of portrait. Supplies used: Gina K Pure Luxury White and Lemon Drop cardstock, A Beautiful Life and Studio cut file, Copics YG23, G07, E02, RV13, R05R17, Gina K. Designs Black Onyx premium Dye ink Pads, foam squares, adhesive pearls.